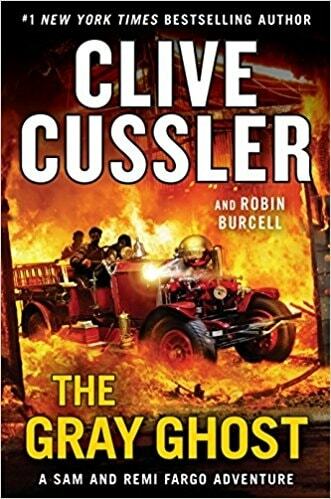 VJ Books Presents Author Clive Cussler! A Note from John: "We have closely followed Clive Cussler for twenty years. 1996 brought the release of the 13th Dirk Pitt Adventure, SHOCK WAVE. 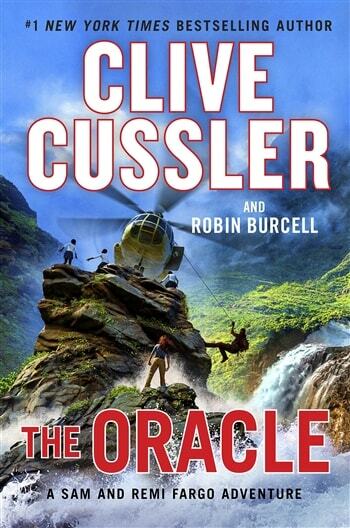 In 2017 we witnessed the release of four new Cussler adventures, including TYPHOON FURY, the 12th title in the Oregon Files Series. TYPHOON FURY brings the number of deluxe limited editions produced by our Norwood Press imprint to nearly 60 volumes. "We would like to thank Clive and his current co-authors for their continued support. Special thanks to Dirk Cussler, Graham Brown, Justin Scott, Boyd Morrison, and Robin Burcell." Clive Cussler is the Grand Master of the American action adventure novel. He began writing in 1965 and published his first novel featuring Dirk Pitt, THE MEDITERRANEAN CAPER, in 1973. Since then Clive has published nearly 75 works of fiction in five bestselling series. 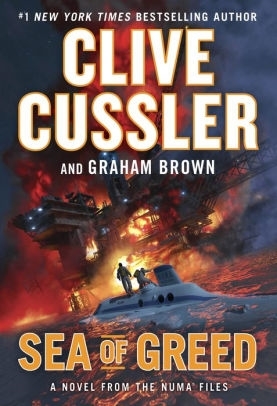 Cussler is the founder the National Underwater & Marine Agency, (NUMA) an organization that dedicates itself to American maritime and naval history. Cussler and his crew of marine experts and NUMA volunteers have discovered over 60 historically significant underwater wreck sites. One such find is the C.S.S. Hunley, best known as the first submarine to sink a ship in battle during the Civil War. Cussler's books are published in more than 40 languages in more than 100 countries with a readership of more than 125 million avid fans. He has co-authored books with Grant Blackwood, Russell Blake, Graham Brown, Robin Burcell, Dirk Cussler (his son), Jack Dubrul, Paul Kemprecos, Boyd Morrison, Thomas Perry, and Justin Scott. Find signed Clive Cussler books below! 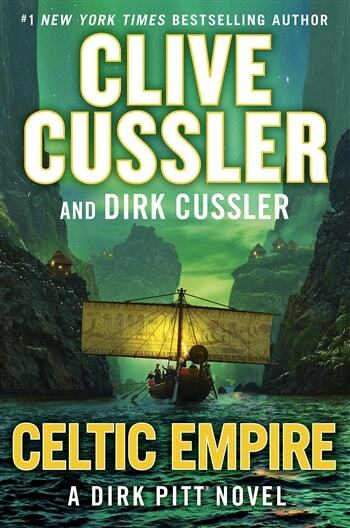 Dirk Cussler reveals Dirk Pitt's latest location and more! Author Signed Bookplate. Self-adhesive label, approximately 3" x 4" (though sizes may vary slightly), signed by Clive Cussler. Author Signed Bookplate. Photo Card approximately 4" x 6" (though sizes may vary slightly), signed by Clive Cussler. Hardcover Book Signed by Both Authors. 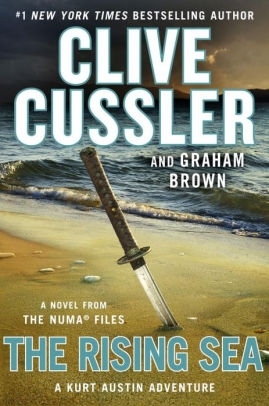 June 2011 NY: Penguin First edition, first printing, mint, new/unread in a flawless dust jacket, signed by Clive Cussler and Grant Blackwood. Each dust jacket is protected in an acid-free archival quality acetate cover. Limited Collector's Edition June 2011 OR: Norwood Press Limited Lettered Edition, signed by both authors. Lettered editions are lettered A-ZZ and come in a fully marbled slip-case with custom boards and end papers, stamped in platinum. (Lettered editions are by subscription with future placement guaranteed). Limited Collector's Edition June 2011 OR: Norwood Press Limited Numbered Edition, signed by both authors. Numbered editions are numbered 1-98, have custom 3/4 marbled boards in a matching slip-case and are stamped in gold. Hardcover Book Signed by Both Authors. 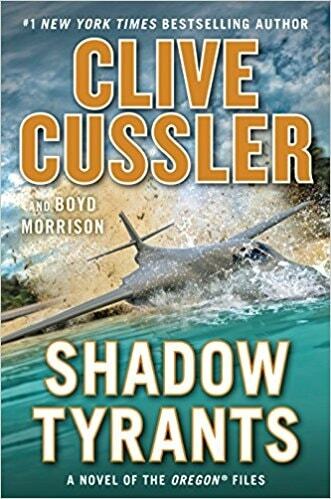 June 2011: Michael Joseph Ltd First UK edition, first printing, mint, new/unread in a flawless dust jacket, signed by Clive Cussler and Grant Blackwood. Each dust jacket is protected in an acid-free archival quality acetate cover. Signed Hardcover Book. September 2010 NY: Penguin First edition, first printing, mint, new/unread in a flawless dust jacket, signed by both authors. Each dust jacket is protected in an acid-free archival quality acetate cover. Author Signed UK Hardcover Book. January 2011 NY: Michael Joseph First UK edition, first printing, mint, new/unread in a flawless dust jacket, signed by both authors. Each dust jacket is protected in an acid-free archival quality acetate cover. First Edition Hardcover Book. 2010 NY: Putnam First edition, first printing, new/unread in flawless dust jacket. Each dust jacket is protected in an acid-free archival quality acetate cover. September 2010 OR: Norwood Press Limited Lettered Edition, signed by both authors. Lettered editions are lettered A-ZZ and come in a fully marbled slip-case with custom boards and end papers, stamped in platinum. (Lettered editions are by subscription with future placement guaranteed). September 2010 OR: Norwood Press Limited Numbered Edition, signed by both authors. Numbered editions are numbered 1-98, have custom 3/4 marbled boards in a matching slip-case and are stamped in gold. Signed Hardcover Book. September 2009 NY: Penguin First edition, first printing, mint, new/unread in a flawless dust jacket, signed by both authors. Each dust jacket is protected in an acid-free archival quality acetate cover. Signed Hardcover Book. September 2009 NY: Penguin First edition, first printing, fine in a fine dust jacket, signed by both authors. Each dust jacket is protected in an acid-free archival quality acetate cover. VJ Books Price $29.99 --> What is the value of Double Signed books? September 2009 OR: Norwood Press Limited Lettered Edition, signed by both authors. Lettered editions are lettered A-ZZ and come in a fully marbled slip-case with custom boards and end papers, stamped in platinum. (Lettered editions are by subscription with future placement guaranteed). September 2009 OR: Norwood Press Limited Numbered Edition, signed by both authors. Numbered editions are numbered 1-98, have custom 3/4 marbled boards in a matching slip-case and are stamped in gold. Author Signed UK Hardcover Book. January 2010 LON: Michael Joseph First UK edition, first printing, mint, new/unread in a flawless dust jacket, signed by both authors. Each dust jacket is protected in an acid-free archival quality acetate cover. Limited Collector's Edition September 2014 OR: Norwood Press Limited Lettered Edition, signed by both authors. Lettered editions are lettered A-ZZ and come in a fully marbled slip-case with custom boards and end papers, stamped in platinum. (Lettered editions are by subscription with future placement guaranteed). Limited Collector's Edition September 2014 OR: Norwood Press Limited Numbered Edition, signed by both authors. Numbered editions are numbered 1-98, have custom 3/4 marbled boards in a matching slip-case and are stamped in gold. Signed UK Hardcover Book January 2015 LON: Michael Joseph First UK edition, first printing, mint, new/unread in a flawless dust jacket, signed by both authors. Each dust jacket is protected in an acid-free archival quality acetate cover. Signed Hardcover Book September 2015 NY: Penguin First edition, first printing, mint, new/unread in a flawless dust jacket,signed by both authors. Each dust jacket is protected in an acid-free archival quality acetate cover. Limited Collector's Edition September 2015 OR: Norwood Press Limited Lettered Edition, signed by both authors. Lettered editions are lettered A-ZZ and come in a fully marbled slip-case with custom boards and end papers, stamped in platinum. (Lettered editions are by subscription with future placement guaranteed). Limited Collector's Edition September 2015 OR: Norwood Press Limited Numbered Edition, signed by both authors. Numbered editions are numbered 1-98, have custom 3/4 marbled boards in a matching slip-case and are stamped in gold. Signed UK Hardcover Book September 2015 LON: Michael Joseph First UK edition, first printing, mint, new/unread in a flawless dust jacket, signed by both authors. Each dust jacket is protected in an acid-free archival quality acetate cover. Signed Hardcover Book. November 2011 NY: Penguin Group First edition, first printing, mint, new/unread in a flawless dust jacket, signed by both authors. Each dust jacket is protected in an acid-free archival quality acetate cover. Limited Collector's Edition November 2011 OR: Norwood Press Limited Lettered Edition, signed by both authors. Lettered editions are lettered A-ZZ and come in a fully marbled slip-case with custom boards and end papers, stamped in platinum. (Lettered editions are by subscription with future placement guaranteed). Limited Collector's Edition November 2011 OR: Norwood Press Limited Numbered Edition, signed by both authors. Numbered editions are numbered 1-98, have custom 3/4 marbled boards in a matching slip-case and are stamped in gold. Author Signed UK Hardcover Book. January 2012 LON: Michael Joseph First UK edition, first printing, mint, new/unread in a flawless dust jacket, signed by both authors. Each dust jacket is protected in an acid-free archival quality acetate cover. First Edition Hardcover Book. 2011 NY: Putnam First edition, first printing, new/unread in flawless dust jacket. Each dust jacket is protected in an acid-free archival quality acetate cover. Signed Hardcover Book. May 2014 NY: Penguin Group First edition, first printing, mint, new/unread in a flawless dust jacket, signed by both authors. Each dust jacket is protected in an acid-free archival quality acetate cover. YouTube Video: Unboxing "The Serpent" by Clive Cussler and Paul Kemprecos"